With the increasing amount of CCTV available the role of a Collision Investigator now includes detailed analysis of footage from numerous sources. 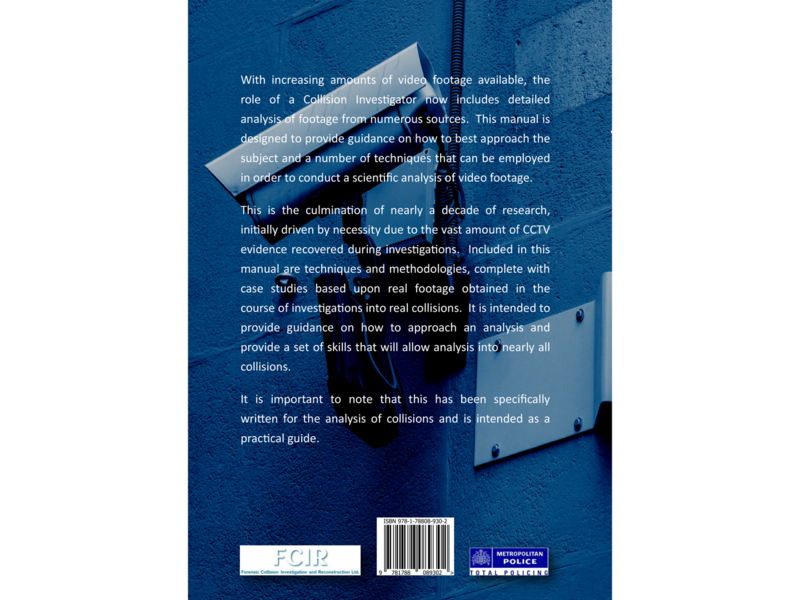 This book is designed to provide guidance on how to best approach the subject and a number of techniques that can be employed in order to conduct a scientific analysis of video footage. This is the culmination of nearly a decade of research into the subject that was initially driven by necessity due to the vast amount of CCTV evidence recovered during investigations. 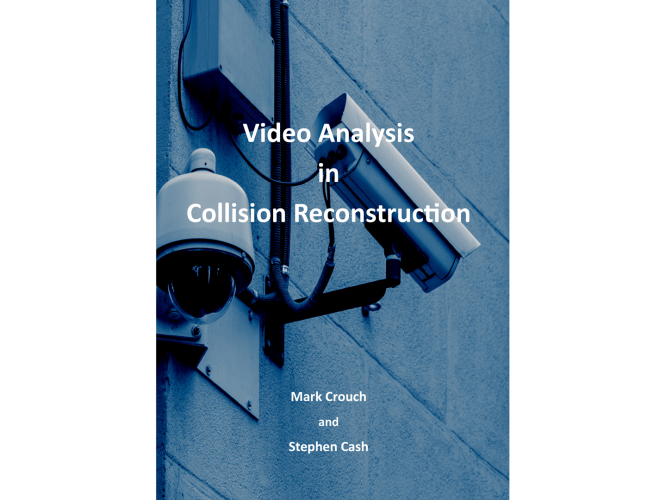 Included in this book are case studies based upon real footage obtained in the course of investigations into real collisions. It is intended to provide guidance on how to approach an analysis and provide a set of skills that will allow analysis into nearly all collisions. 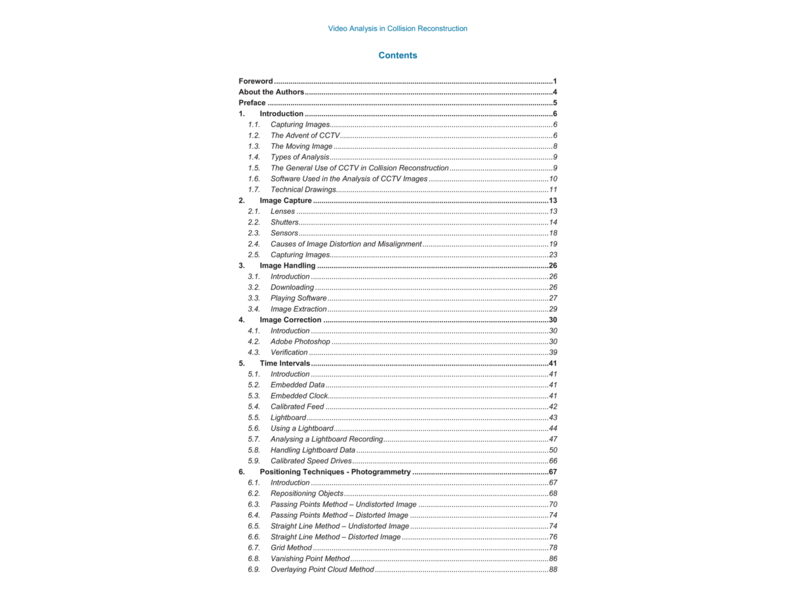 It is important to note that this has been specifically written for the analysis of collisions and is intended as a practical guide. 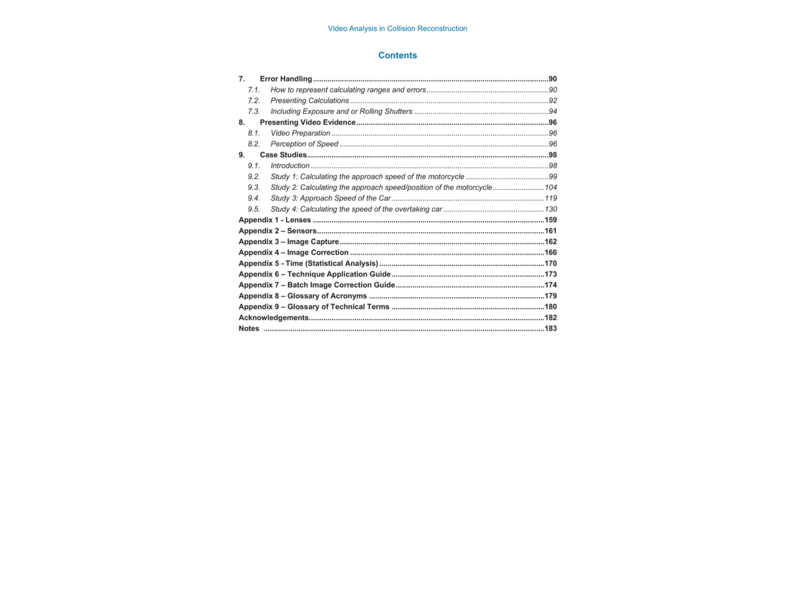 For that reason, a number of areas of widely used forensic image analysis principles have been tailored for their use in collision analysis but do not appear in their entirety. This book has been designed as a toolset for a very specific task and has been produced with a view to being a practical support to the Collision Investigator.